I know these kinds of posts are going to be everywhere over the next few weeks but they’re something I really love doing. Reflecting it something I love to do, and I like to take time to do so at the end of the year to really sit down and soak up everything that’s happened. I think it’s really important that we take time to reflect in order to appreciate all the brilliant, and not so brilliant things we’ve achieved. In terms of university, I started 2017 in my second year, ended that year somehow averaging with a first, spent my summer making, dropping off and collecting questionnaires for my dissertation, and finally started my final year. I am so proud of the progress I’ve made at uni this year. I’ve always been proactive and organised with my work, and starting my dissertation was something that really, really daunted me, but here I am with my first draft complete, and the final thing being handed in in a matter of weeks!! The uni messed me about a bit in my first few weeks of third year, causing me a hell of a lot of stress and movement from a module I had chosen, back to one I hated, then back to the original one I wanted to do. Despite all this, and missing out on 4 weeks of lectures for that module, I stuck with my gut, knowing what was best for me and produced an essay which (hopefully) won’t be too awful! University, and being away from home, since first year has been something I’ve really struggled with – so much more than I expected to, but comparing myself now, to 3 years ago when I was sat in halls is a completely different person. I am so much happier, and despite still having my wobbles, I enjoy it so much more. I’ve learnt one hell of a lot and it’s crazy knowing in a matter of months I’ll be a graduate. In blogging terms, there is SO much to be proud of! I set myself a challenge back in January to post twice a week for the whole year, and I can’t believe I’ve managed to stick to it. I’ve really fallen back in love with my blog and I think it’s shown. My content, especially my photography has improved no end and I’ve had some of the best collaborations yet. My boyfriend Jamie is owed a lot of credit here, he’s helped me no end with all the photography bits, been my own insta-boyf and pushed me whenever I had my doubts. In terms of myself, 2017 has been a year where I’ve really started to prioritise myself, and my mental health. I’ve learnt to be selfish sometimes for my own good, and I’ve learnt a lot about myself – what I like, what I don’t like and everything in between. I pride myself on being a really positive person and although we can’t all be happy all the time, I’ve learnt to accept that’s ok and worked out what I need to do when I’m not feeling great to get me back to myself. 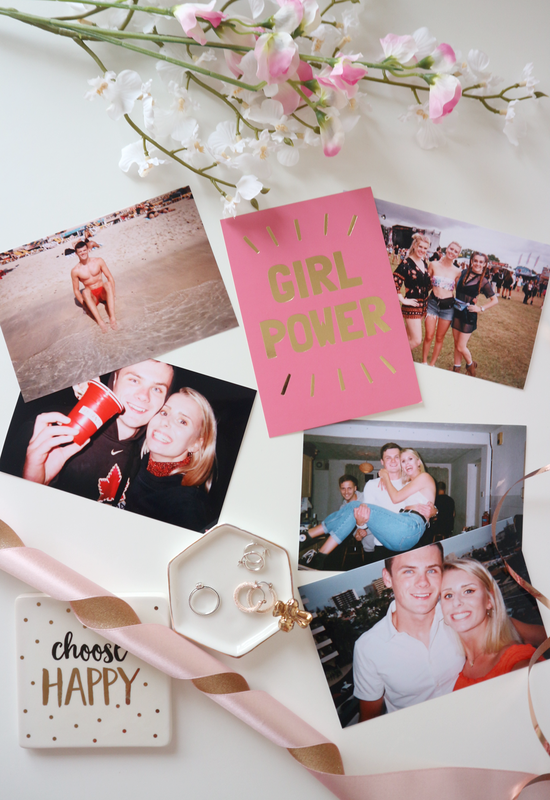 I’ve pushed myself out of my comfort zone – Jamie and I did V Fest over the summer break which was a pretty big thing and I’ve put myself forward for a lot more opportunities – media sec of netball and captain of my netball team to name a few! It’s been such a brilliant year, full of lessons, fun and achievements and I’m so excited to see what 2018 brings. What were some achievements you made in 2017?